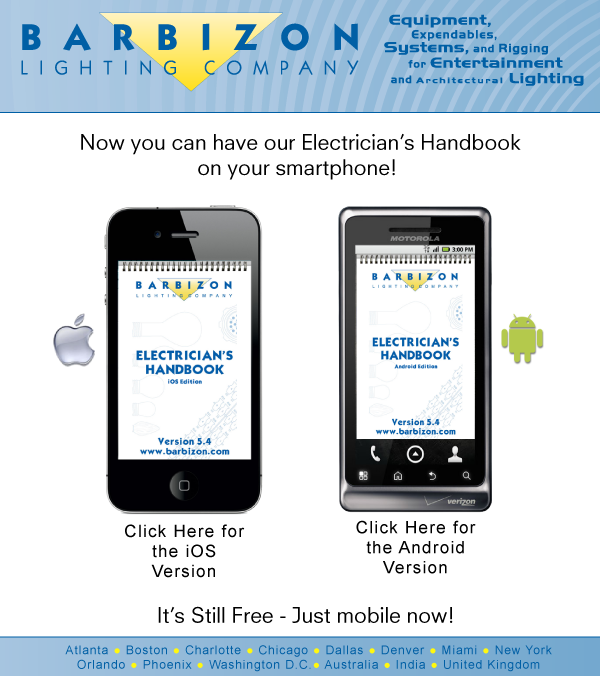 Barbizon Lighting Company Blog: Barbizon's Electrician's Handbook is Now an App! Barbizon's Electrician's Handbook is Now an App! Barbizon Lighting is proud to announce the release of the Barbizon Electrician's Handbook App, giving Entertainment Technicians our coveted little flipbook - now in a native application for the iOS and Android! Every page, formula, gel and lamp reference you'd find in our printed edition is here, along with a few other goodies as well.